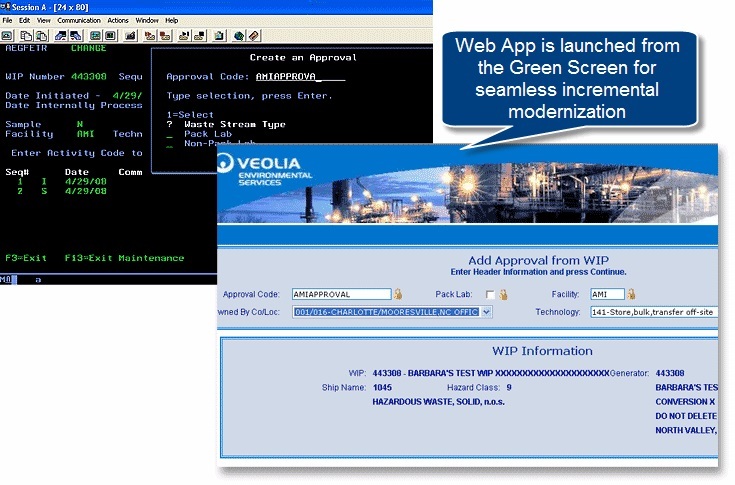 Veolia Environmental Services, a division of the world’s largest Waste Services Company chose WebSmart ILE to modernize their existing Approval application. Doing so enabled them to sunset two decade old RPG programs while leveraging existing RPG code for business rules. Usage of AJAX technology improves the end user experience, efficiency of the application and results in a very professional product. These apps were constructed by evolveIT. As one might expect, dealing with these items is a delicate task, especially when it comes to transporting them. That’s why Veolia ES Technical Solutions has a rock-solid IT environment in place to help make sure it fulfills its responsibilities, with the final goal of cleaning up the environment. To that end, Veolia ES Technical Solutions is in the process of migrating sites using an aging AS/400* 170 to a new, beefier Power* Systems 525 running IBM i and its own mission-critical applications. 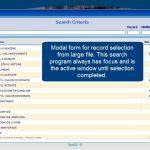 That software could be considered legacy, having been around for “probably 20 years,” according to Dail Earl, manager of business applications and systems engineering. But the company decided to recycle and reuse it rather than throw it away and start again from scratch. So it’s working with a trusted business partner, evolveIT, to build new applications and create hooks back to its existing RPG-based applications using WebSmart. Echoing its green business services, it’s not wasting a thing. One of four sister companies, the Lombard, Ill.-based Veolia ES Technical Solutions is a subsidiary of Veolia Environmental Services North America, which itself is a subsidiary of the France-based parent company Veolia Environment. Veolia ES Technical Solutions employs around 1,700 personnel in the U.S. and Puerto Rico. This process becomes complicated when one considers that some material containers may have to be consolidated with other containers, added into larger containers, split into smaller containers or dumped into a tank with thousands of gallons of other materials. “I get a headache just thinking about it sometimes,” Earl jokes. What isn’t a joke, however, is the IT support needed to make sure all of these steps are followed within regulation guidelines. In the case of Veolia ES Technical Solutions, this IT underpinning includes two 170s and the 525. The company is currently in the process of migrating all of its users off the 170s, one of which is still in production and the other of which acts as a backup. Realizing in 2006 that it needed everyone on the same page,especially given that tracking and disposition of transported materials had to be shared among its 45 sites in the U.S. and Puerto Rico, the organization began looking for solutions to integrate each company’s best practices. What it didn’t want, however, was to make the needed enhancements using RPG. This was for several reasons. 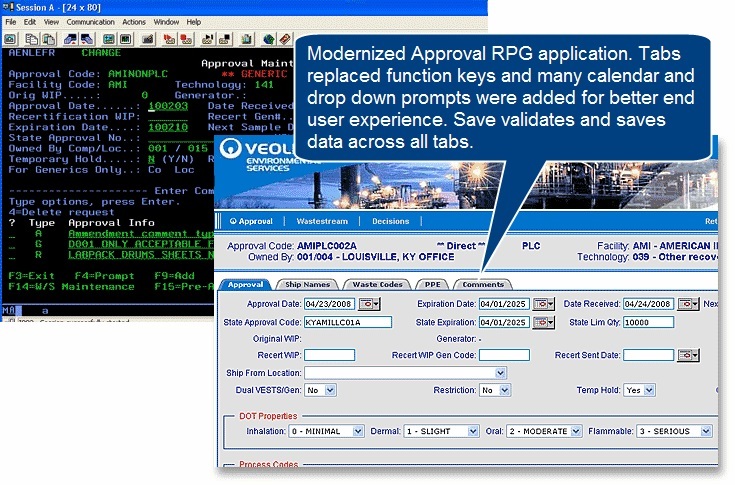 Veolia ES Technical Solutions’ own RPG-based applications, for example, lacked the proper development documentation, and many of the original programmers had since left the company, leaving Earl with RPG applications (some of which had been developed using Synon) that would be difficult to enhance. 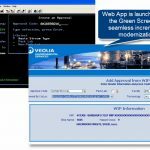 Additionally, the applications that came with the acquired company didn’t come with source code – and without the source code, Earl points out, Veolia ES Technical Solutions couldn’t recompile those applications to run on the new 525 platform. The company also wanted to leave its applications’ green-screen interfaces behind. Users and customers saw green screens as a vestige of the past – and an indicator that the company was using old software and hardware solutions. Although this wasn’t the case, the company felt compelled to make changes to give applications a more modern look and feel and make them more flexible so they could grow with the company. 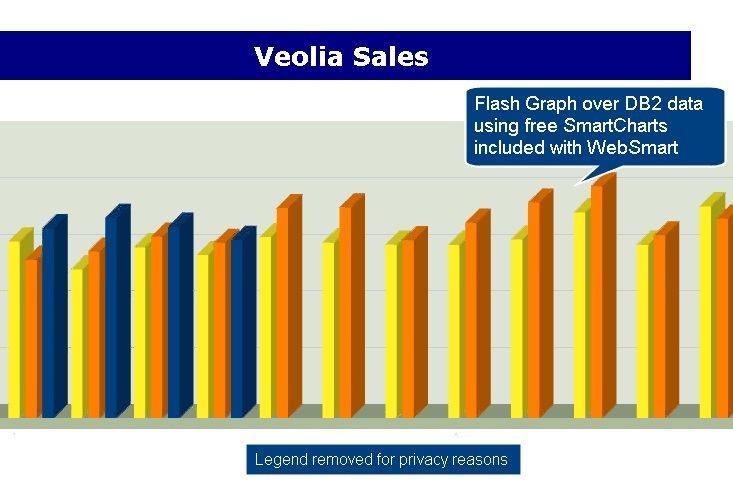 With those criteria in mind, Veolia ES Technical Solutions finally decided to use Fresche’s WebSmart for future development efforts. 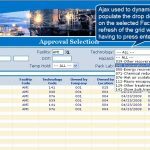 The decision made, evolveIT and Veolia ES Technical Solutions’ IT project manager, Barbara Pintar, began using WebSmart to create new applications that tie into the company’s existing and, in some cases, new RPG/ILE applications. “This is a service architecture-type environment, where WebSmart applications can request information from the back-end RPG programs to populate the WebSmart applications. They work hand-in-hand like that,” Earl says. 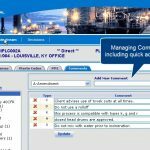 As part of the company’s new development effort, both evolveIT and Veolia ES Technical Solutions, under Pintar’s inside guidance, developed some RPG-based code to work behind WebSmart. Although almost 80 percent of new application development takes place using WebSmart, specific functions needed to be built into the back-end RPG-based system. Although some might consider this yet another layer of development complexity, it’s not. As with the company’s existing RPG code, WebSmart merely hooks into the new code to add functionality to the end-user front end. 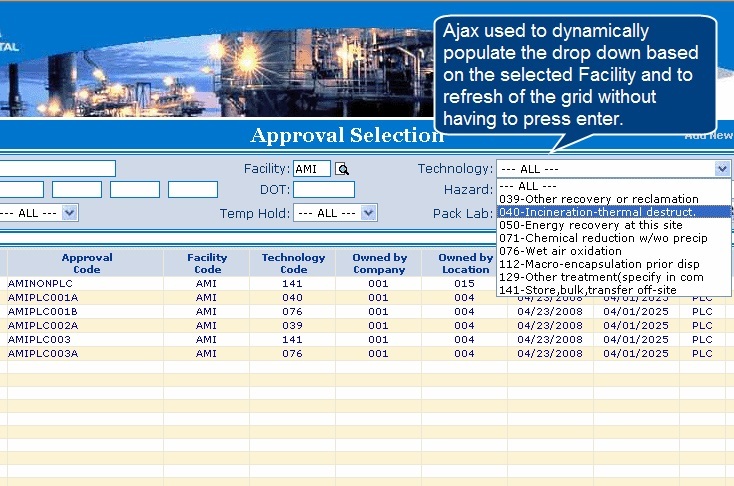 Using evolveIT’s incremental modernization methodology with Fresche’s WebSmart, Veolia and evolveIT were able to design, code and implement new applications without disrupting existing applications. This was key, because WebSmart could be used to not only create new applications, but also tie back into the existing back-end RPG programs. This gave the Veolia ES Technical Solutions the flexibility to retain its battle-proven legacy applications while developing new ones that would enhance its IT portfolio. Additionally, the company felt it could get up to speed on the tool very quickly. 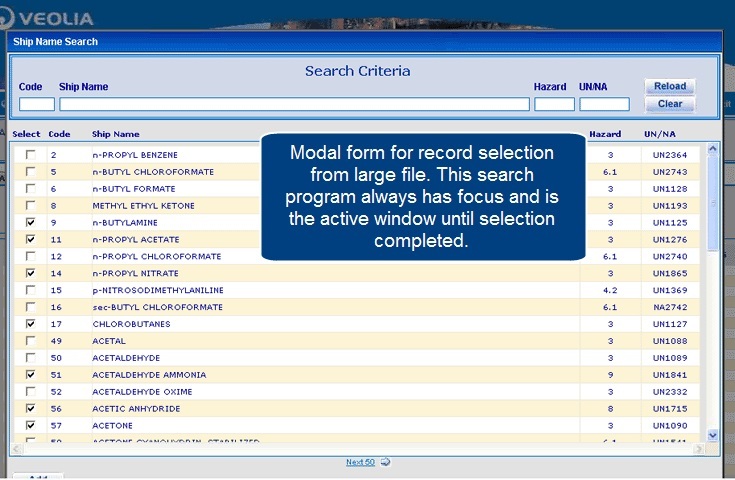 Built in a modular format, the new programs – some 54 of which have already been built, deployed and rolled into two high-level applications (the Approval Module and the Waste Information Profile) – share components that tap into the same RPG program-based functions. This lets modules be built only once and deployed in other applications. Additionally, thanks to WebSmart’s modular nature, Veolia ES Technical Solutions could roll out applications one at a time instead of undertaking a big-bang approach. The company could also quickly deploy applications, again using WebSmart’s modular approach to development and evolveIT’s incremental modernization methodology, to help migrate the 170 users to the 525. This was key, because the production 170 had experienced several unplanned – and unexplained – outages in February 2007. “We were worried the whole system might just die on us,” Earl says. Fortunately, that hasn’t yet happened, although Veolia ES Technical Solutions will pull the plug on the 170 once that final site has been migrated to the 525. 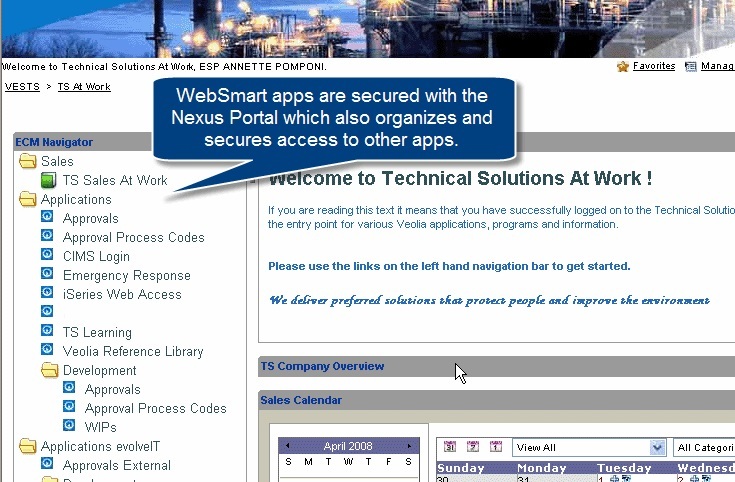 Earl expects all of Veolia ES Technical Solutions’ WebSmart development to last “well into the future,” and the company has already seen the benefits from the solution and its continued partnership with evolveIT. 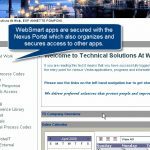 Employees can now access two applications online, via a Fresche’s Nexus Portal and a standard Web browser, with much more to come. And they’re working smart. Rather than redoing everything, Veolia ES Technical Solutions is reusing, recycling and reclaiming its mission-critical legacy applications, just like they do for their customers. 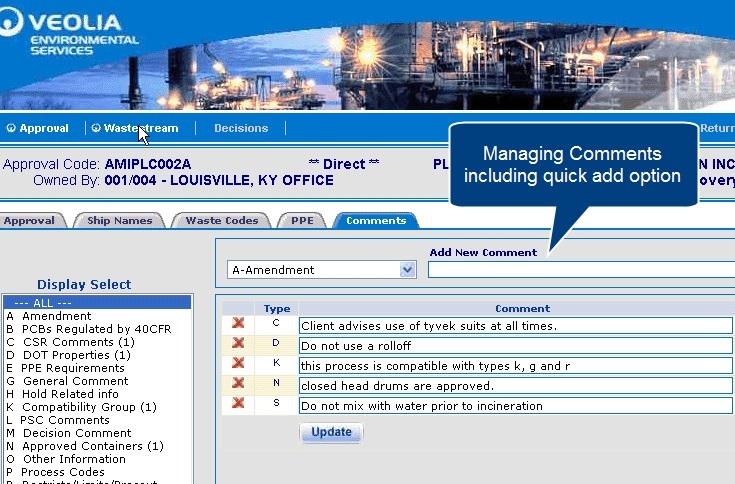 Veolia Environmental Services chose WebSmart ILE to modernize their existing Approval application. Doing so enabled them to sunset two decade old RPG programs while leveraging existing RPG code for business rules. 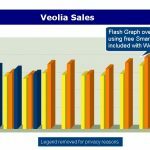 Earl expects all of Veolia ES Technical Solutions’ WebSmart development to last “well into the future,” and the company has already seen the benefits from the solution. If you’re switching from RPG to Java or .NET, the learning curve would be very high. That’s not the case with WebSmart.